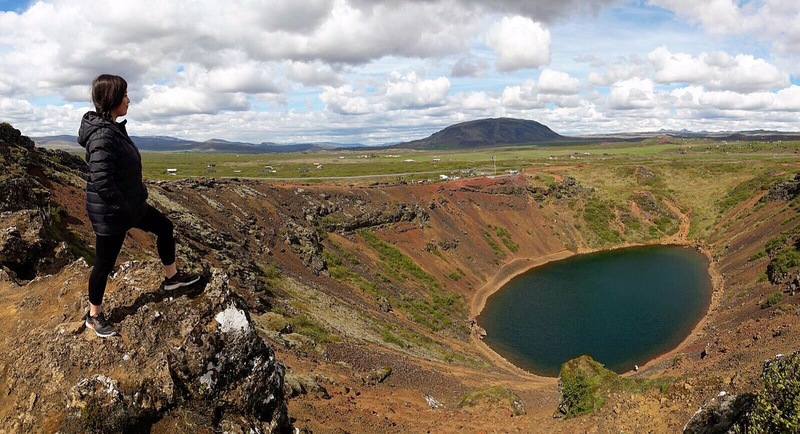 How to travel the Ring Road of Iceland in 9 days – Where's Walton? 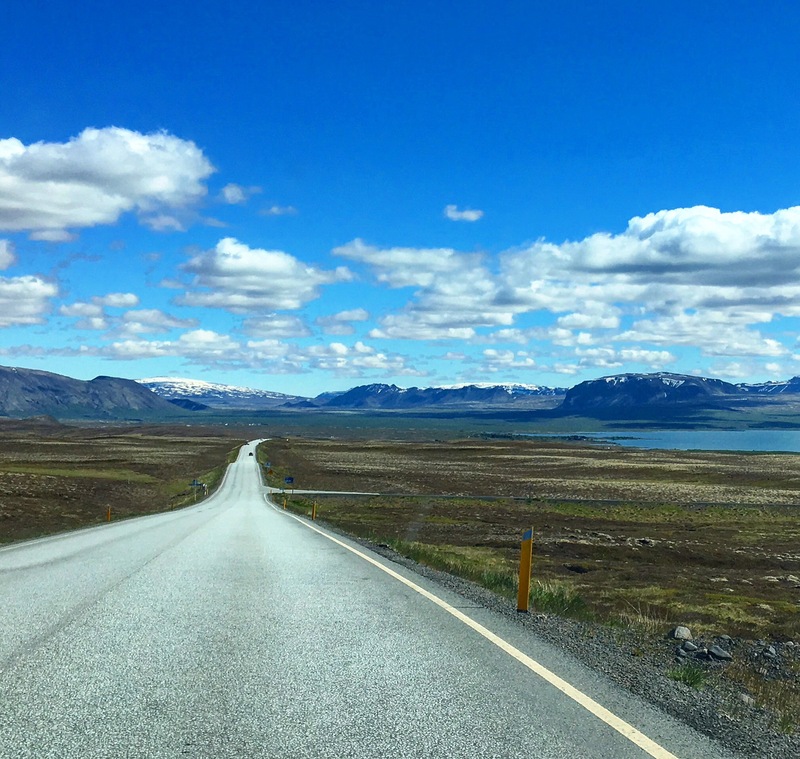 Here is a 9 day itinerary for anyone travelling the Ring Road of Iceland or for anyone who just wants to see how stunning this country really is! Planning to travel Iceland is exciting, but painful when you see the prices of accomodation, car rentals and food. I actually found planning the route around the ring road a bit confusing because you spend a while trying to get your head around the name of places, towns, distances, waterfalls – you often find that the names of places are duplicated. For example SELFOSS is a small town in the south, as well as a waterfall in the north. WHAT!? Usually I turn up in a country, ask for advice at my first stop, book the next place then I’m off on the road. But Iceland is different, especially at peak seasons like June-August as places to stay are limited so the longer you leave it, the more expensive the night stay. The most I have ever paid to sleep in a hostel before is £25 in Australia/New Zealand. Here, the cheapest I found was £50 and many places were fully booked by the time we went so we didn’t have our pick – I highly recommend you book ahead or have a comfy car. So I am writing this because I searched and searched for one blog just to tell me what to do each day and for how long. When I travel I like to do as much as I can during the day, but I also don’t like to rush; I like to stop spontaneously along the way and I also like to enjoy my evenings in the accomodation that I’ve paid for. So, if you’re a similar traveller, I hope this helps or just gives you a rough guide to plan your own unique adventure around Iceland. SATNAV APP: Before your trip get the Maps.me app. It’s like an offline Google Maps so it saves you getting a satnav. Before you go, mark all the below places you want to see so you can just click and see the route and distance to each place. EATING IN OR OUT: We purchased all our food from Bonus and did not dine out. Bonus is the cheapest store you’ll find in Iceland but be warned: they’re not everywhere. Bread will cost you about £3, but cheese will cost around £14 (yikes). We lived off of a lot of frankfurters with pasta and £3 pizzas (which we cooked each morning used as sandwiches through the day). I actually packed some food from the UK like coffee and tea and seasonings. BOOK CAR HIRE: At the airport, pick up your pre-booked hire car/van/4×4/4WD. We went for the cheapest 2WD, it was £252 “all inclusive” for 10 days which we felt was already quite expensive for the cheapest option. When we arrived we found out there was an extra £150 to pay to get more milage. A new lesson learned. When it came to choosing the car, the 2WD was fine for us as it was summer and we didn’t plan to go off road- however if you’re there during snowy season 4WD is recommended. Some of the roads we couldn’t imagine driving in the snow! CLOCKWISE OR ANTICLOCK WISE? I don’t think it matters, but we went for clockwise to get the highlights done first in case we were pushed for time. 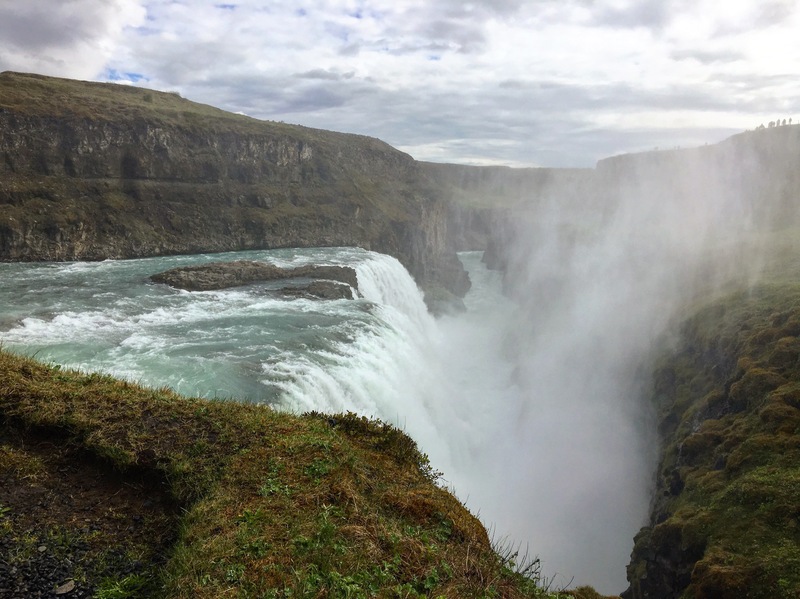 2 nights (1 day in Reykjavik, the second for the Golden Circle, then hit the road). Be ready to go to the Blue Lagoon as soon as you arrive at the airport, why? Because it’s down the road from the International Airport and 40 minutes from Reykavik. We did consider not going as it’s known for being touristy, however, it really is an enjoyable experience and slightly mind-blowing. Make sure you get the mud-masks in the centre of the pool that’s included in the entrance fee of 4800 ISK or 35 Euro. TIP: Bring a towel. They are not free or included in the entry price. Then, drive into Reykavik, go see the view from Hallgrímskirkja for £7/$9USD and just walk around town. We didn’t feel like much time was needed in Reykavik. Prices are very high to eat out so we just bought food from Bonus to cook at the Airbnb. The Golden Circle can be completed via a guided tour in 1-2 days or you can do it yourself by car, plotting all the stops on your maps.me and stopping along the way to take photos. We did it in a day and just missed one stop (the Kerid Crater) but we passed it the next day on our way south to Vik. The Golden Circle really is incredible and even though the whole area can be driven in 3-4 hours you feel short on time as there is a lot to see. We didn’t know of Brúarfoss, for example, which was recommended by our Airbnb host and we also had the tomato farm recommended to us, where we met the President of Iceland. Gljufabui (a short walk around the corner from Seljalandfoss). THE WATERFALL MOST PEOPLE MISS: Kvernufoss – It’s next door/to the right to Skogafoss. Just a very short drive and 10 minute walk. Where did we stay? NiceHostel (right in between Skodafoss and Seljalandfoss). Highly recommend. Crashed DC Plane – it’s a looong walk down a long path with nothing to see but it’s a sight worth seeing when you do get there! Fjaðrárgljúfur – Don’t miss this! Where did we stay? During the busy time we didn’t find anywhere to stay in Vik or near by, instead we chose a nice guesthouse – 2.5 hours away. Probably wouldn’t recommend doing this because you’ll use up fuel and a large chunk of your day to drive to it and will need to go back on yourself the next day, however, the views from this guesthouse are incredible. https://www.booking.com/hotel/is/gistiheimilid-nypugordum.en-gb.html It was quite expensive and you can’t cook there but there is a buffet which was quite nice albeit £35 a head. 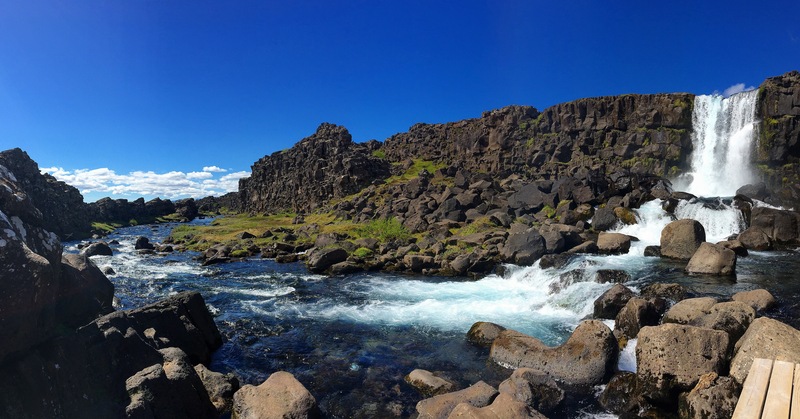 Svartifoss – this is in what feels like a national park/camping ground. There’s a rare cafe and a place to stay if in an RV/Caravan. You can even hike up the glacier from this point. We stayed at a hostel but it’s not a place I’d recommend based on the owner and the overpriced cost of 142 a night: Berunes HI Hostel. The next couple of days were mainly driving and relaxing – the east of Iceland is beautiful but it’s an area you could skip. Mývatn – This is an area we thought we’d spend more time but we just drove through! There’s a lake and other natural springs. Whale tour also included fishing! If you catch one big enough they will gut it for you and then that’s dinner sorted!! The last night we stayed in a pod. What was great about this Airbnb is that next door was a troll walk (random) and the accomodation has a hot tub. So we just enjoyed our final evening surrounded by nature just 1-2 hours from the airport. Where did we stay? https://www.airbnb.ca/rooms/6863851 (please note, bedding is additional!) but this place was the cheapest for us in Iceland. Beautiful scenery from the vehicle! In all honestly, as much as I loved travelling the whole ring road, the highlights for me were the first 4 days. So I do think that if you are short on time you can do the south of the island and drive back in 5 days. We do wish we could have seen the Westfjords, particualy Kirkjufell but we’re so happy with our once in a lifetime roadtrip around Iceland!! Pingback: Where’s Walton? – Where's Walton?